I loved how Vuforia would rate the "augmentability" of an image I added to the database. This was really helpful in debugging my app, so I could determine if bugs were due to image target problems, camera/phone problems, or code problems. Nothing really. 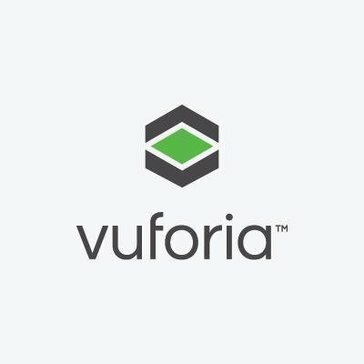 There's a fair amount of community support regarding Vuforia=>Unity Integration, but could have more tutorials or guidelines on how to do this. Often this was described in tutorials found online, however. Have fun! Honestly AR is such a cool field of technology and Vuforia makes it really organized to keep all your development files in one place. It integrates very easily with platforms like Unity. If you have a question, definitely don't hesitate to reach out to the online community. Also, don't be afraid to go back to basics, even if you are an experienced AR/game developer, as the workflow is really simple once you have an understanding of it. Plus, a basic Image Target tutorial will only take you about 30 minutes, and it will show you the main features of the tool. We were seeing if Augmented Reality could provide an engaging experience for mental health stressors related to our field (med tech). ""I have utilized the Vuforia motor widely previously and profoundly prescribe it."" The usability is the main motivation to utilize Vuforia. Joined with the Unity motor, the many, numerous utilizations that are promptly accessible settle on this the simple decision. Expanded the truth is developing significantly and utilizing Vuforia is an incredible method to get in on the activity.. I truly welcome that they are on the forefront and staying aware of ARKit and ARCore with the their item. Vuforia in mix with the Unity stage is unquestionably the best approach. The expense. Vuforia had a long history of being an openly accessible SDK. At that point they began charging $500 per application for its utilization. Since the development of ARKit and AR Core, this has turned into more of an issue. A quality product for getting Image Tracker or Object based tracking into an app, particularly with the Unity games engine. A quality item to get Image Tracker or Object based following into an application, especially with the Unity recreations engine.I know there are different stages that Vuforia can be utilized on, and I would very prescribe you to utilize it on Unity! "Vuforia is the top choice for augmented reality developing." The ease of use is the chief reason to use Vuforia. Combined with the Unity engine, the many, many uses that are readily available make this the easy choice. Augmented reality is growing by leaps and bounds and using Vuforia is a great way to get in on the action. The only downside to Vuforia is the fact that it is evolving so quickly, that you are having to re-learn it on a fairly regular basis. Read the documentation and find one of numerous videos that are available online. Gaming solutions, business solutions, advertising and promotional solutions, as well as, machine learning. "Solid Tracker and Object based tracking"
The cost. Vuforia had a long history of being a freely available SDK. Then they started charging $500 per app for its usage. Since the emergence of ARKit and AR Core, this has become a bit more of an issue. "I have used the Vuforia engine extensively in the past and highly recommend it." The ease of use and combined with Unity, it is the superior choice for AR programming. When updated, it is often very difficult to perform enhancements to past projects. AR applications for both entertainment and business. We are accessing Vuforia engine with Unity, to have best cutting edge AR. Nothing much, a litle overpriced in terms of model. Good product for targeting customer , where they want AR in their sales,marketing business. Helpful in manufacturing business, to make demos of Machines(their work, usage). Helpful in demos and presentation.It transform human processess and lead to the world of Augmented Reality. Developing a product for Sales and Marketing company.Using for demos to potential Customer. "Excelent option for developing Augmented Reality (Unity 3D)"
We use vuforia to develop a variety of projects of augmented reality with unity 3D, and it is the easiest way to do it. We combine the powerful game development tool Unity 3D with the vuforia to create from AR advertisings to mini games from products. be patient and learn in internet. The integration with Unity is super easy, you don't need to worry about complex sdk implementation, you only worry for the functionality you want. Not that I really dislike, but the price can be a bit expensive if your main target is AR. I used in my previous job, Vuforia was a really useful sdk for making outstanding presentations of the projects the company had. I also have used it for personal projects and is more than enough. "Vuforia was a great experience!" I was very happy with being able to see the results immediately. After I added a tracking point to a surface and saw a robot there, I was so amazed. I disliked the confusion with all the keys and such when I was first getting set up with Vuforia. I know there are various platforms that Vuforia can be used on, and I would highly recommend you to use it on Unity! I saw the benefits of being able to easily create AR within Unity. My final year project. I m using augmented reality to solve tourism problems in my country. Implementing enhanced AR solutions for our game engine - didn't help us achieve our goals and had to switch back to prior interface. * We monitor all Vuforia reviews to prevent fraudulent reviews and keep review quality high. We do not post reviews by company employees or direct competitors. Validated reviews require the user to submit a screenshot of the product containing their user ID, in order to verify a user is an actual user of the product. Hi there! Are you looking to implement a solution like Vuforia?